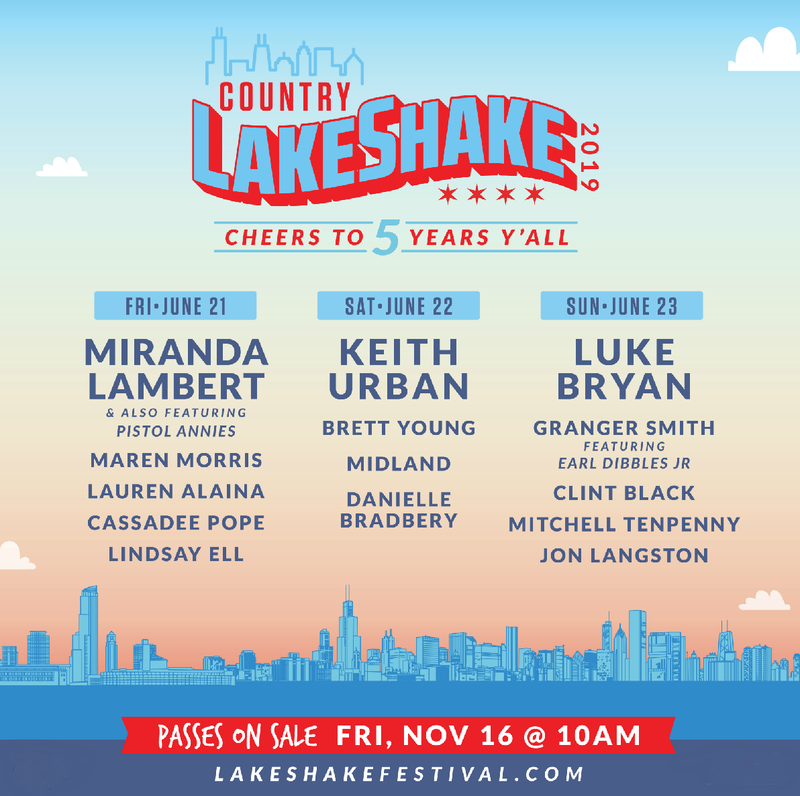 Just announced the 5th Country Lake Shake in Chicago! 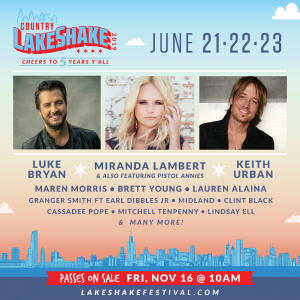 Miranda Lambert w/ Pistol Annies, Keith Urban, Luke Bryan and more will be taking over the Huntington Bank Pavilion at Northerly Island. 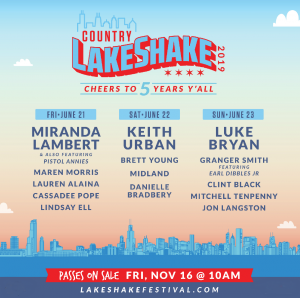 Lake Shake 2019 will be June 21-23. Be sure and Mark your Calendars! Single Day Passes & Weekend Passes go on sale Friday November 16th at 10am. 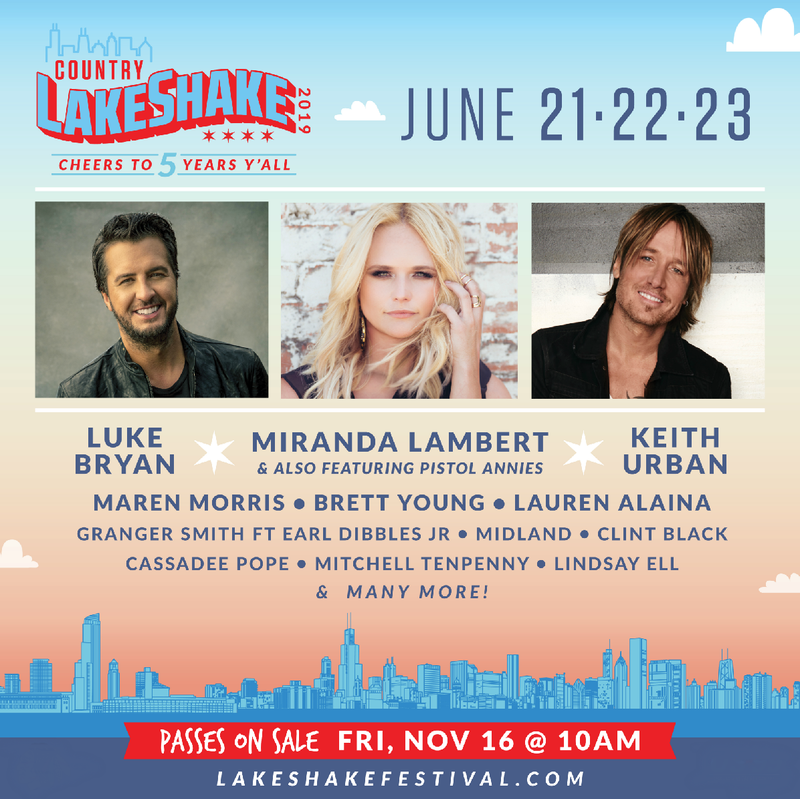 Country LakeShake is 3 days of country music – 2 stages, 30 artists. Get 3-day passes starting at $99.50 (plus fees) and single day passes starting at $49.50 (plus fees).